I'm all about handmade gifts. If you know me at all you know that I'd rather make something and show my love for someone through something I made with my own hands than spending hours in a store waiting for something to get my attention. If you know me some more you know that I always have GREAT intentions for handmade gifts but not always the most timely follow through. I will say that I'm getting a little better but time still gets the best of me and more often than not gifts don't make it to the recipients until a month or so after their birthday....or Christmas, etc. These gifts were actually done in a timely manner but I waited to give them to the kids because I knew I'd see them a few weeks after their birthdays and instead of spending money on mailing them I waited to give them in person. I'd always much rather gift a handmade gift in person. 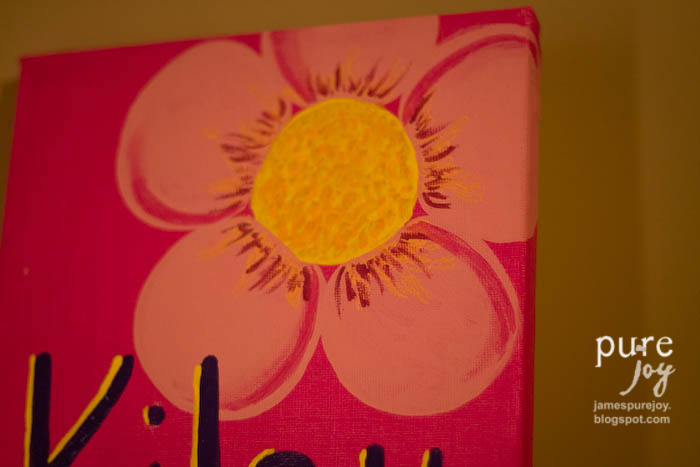 The look on peoples faces is what I love so much about giving personal handmade gifts. Yes, sometimes they don't really care for it or it wasn't what they REALLY wanted but that's okay too. 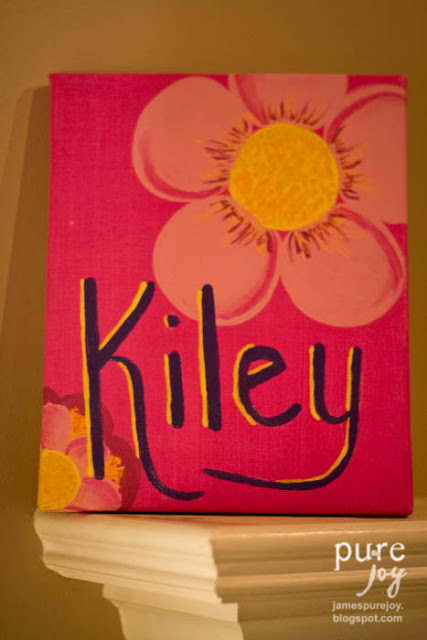 I know that not every handmade gift is received with the same joy that was put into it...and that's okay!! I made my nephews and niece matching outfits for Christmas so I thought that for their birthdays (all in the month of May) I'd do something a little different. 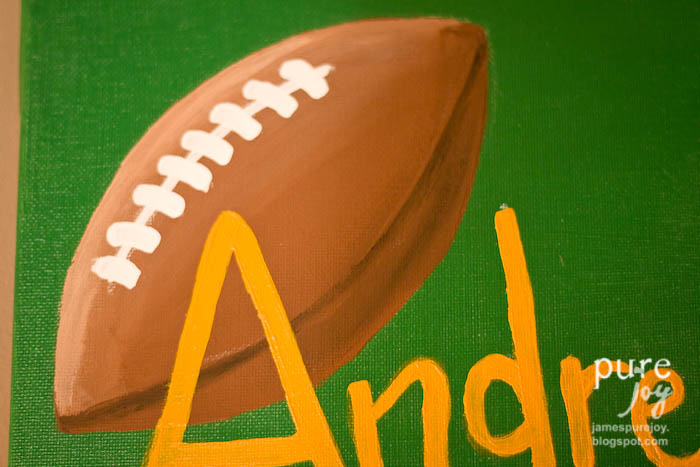 I knew that the boys share a room and that it was decorated with a sports theme so I thought personalized name paintings would be fun for them to add to their rooms. I also knew that Kiley has her own room and that it used to have flowers and butterflies...not sure if it does anymore but I thought the flower would be a good decor to a little girls room. 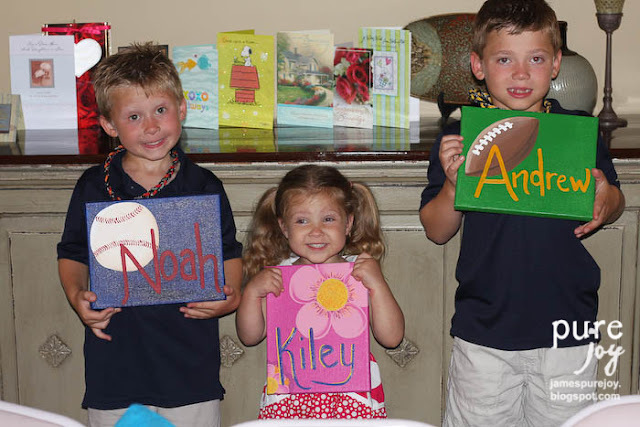 So, here are some personalized name paintings that I did for my nephews and niece. 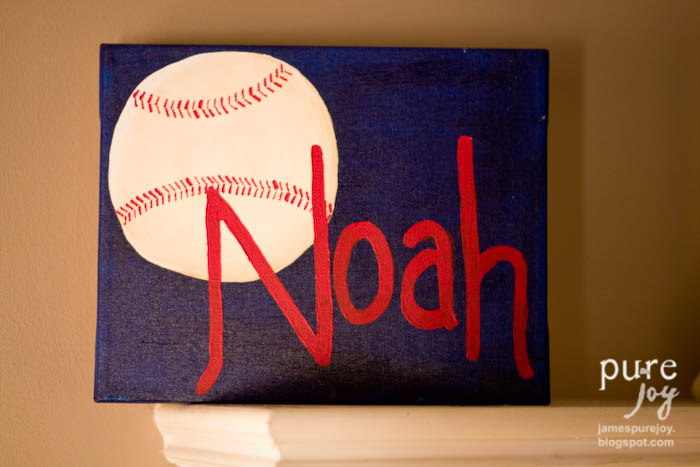 Noah is a big BREWER fan! And his mom cheers for the Cardinals so I figured this one could go either way. Here are the little cuties with their paintings!! 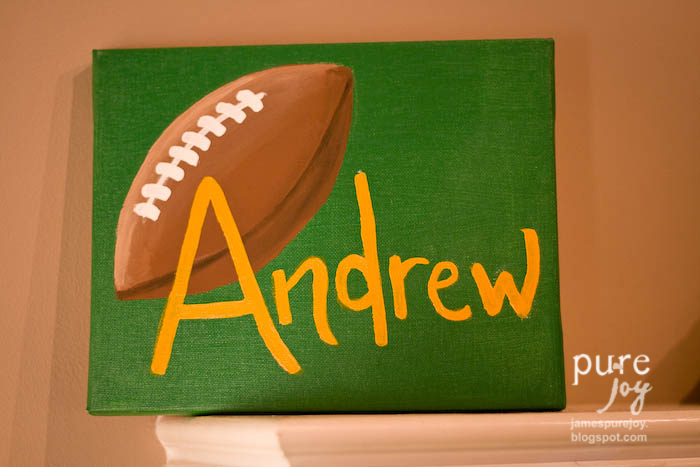 These are 8x10 canvas paintings and I am willing to take order if you'd like one for your child's room!